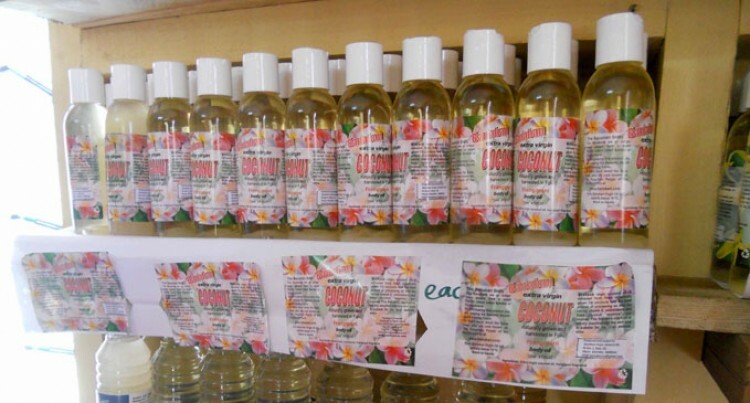 The virgin coconut oil (VCO) factory on Rabi Island made a respectable profit last month on the sale of their oil and other related products. The factory made a profit of $3372 last month compared to their forecast of $2500. Meanwhile the VCO project is run by the Banaban Women’s Group who aim to provide consistent supply to meet market demands. This was confirmed by the Integrated Human Resources Development programme (IHRDP) project manager northern, Aslam Khan yesterday. Mr Khan said the VCO project was one of the successful projects in the North. He said they were able to venture in other value added products such as producing soap, scented oil, coconut sugar scrub, coconut dish washer paste, body lotion, coconut vinegar, coconut dried meal and chicken feed production. “These products are being sold to the people in the island and the nearby communities,” Mr Khan said.